Refer to the exhibit. Router R1, the DCE device, has just been configured for PPP encapsulation with authentication. What series of commands will allow another router, the DTE device, to communicate over its serial 0/0/0 interface to router R1? 2. Which serial communications DTE/DCE interface standard is used to provide high-speed connectivity of up to 52 Mbps between LANs and is found on many high-end Cisco routers? to secure the console port with the password "cisco"
1. A static route that points to the next hop IP will have what administrative distance and metric in the routing table? 2. 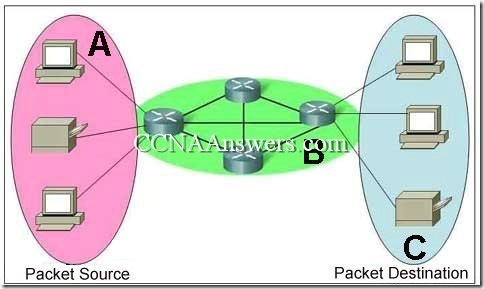 What address can be used to summarize networks 172.16.1.0/24, 172.16.2.0/24, 172.16.3.0/24, and 172.16.4.0/24? 1. If a router cannot find a valid configuration file during the startup sequence, what will occur? The startup sequence will reset. The router will prompt the user for a response to enter setup mode. The startup sequence will halt until a valid configuration file is acquired. The router will generate a default configuration file based on the last valid configuration. The router will monitor local traffic to determine routing protocol configuration requirements. Refer to the exhibit. 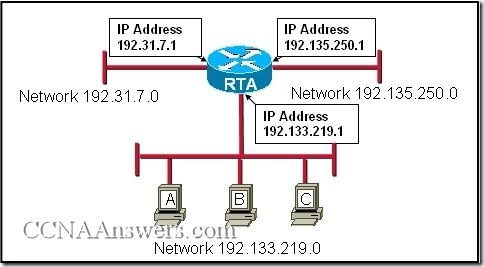 The network administrator has configured the router with the interface IP addresses shown for the directly connected networks. 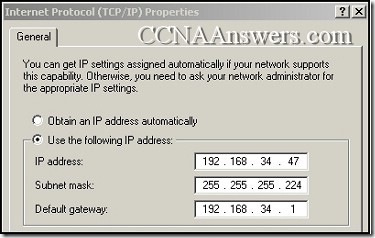 Pings from the router to hosts on the connected networks or pings between router interfaces are not working. What is the most likely problem? The destination networks do not exist. 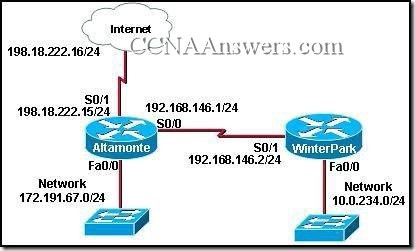 The IP addresses on the router interfaces must be configured as network addresses and not host addresses. The interfaces must be enabled with the no shutdown command. Each interface must be configured with the clock rate command.